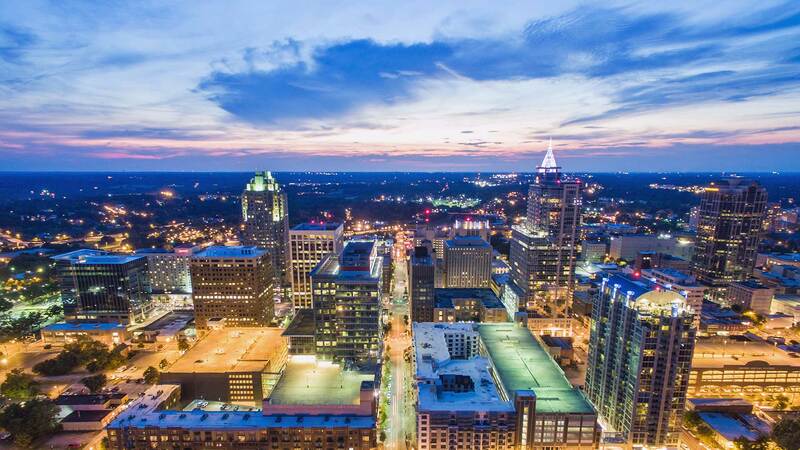 Raleigh is the place to be with a large international population, growing number of college students, vibrant young professional community, and increasing number of families moving to the area. However, as Raleigh grows so does its need for the gospel. More and more people are disconnected from the church and without the hope of Christ. In the midst of this need, we have a great excitement about the work God is already doing and anticipate even greater work in the future. At Open Door Church we are seeking to raise up disciples to fulfill the Great Commission who believe in the gospel, live out their faith in authentic, multi-cultural fellowship, share the good new of salvation with others, and multiply disciples and churches to the glory of Christ and his kingdom. This means equipping believers to intentionally live out the gospel within our community in their everyday lives. Raleigh needs men and women who display and declare the gospel in their homes, on campus, at work, and in the their neighborhood. ODC is experiencing opportunities to reach the increasingly diverse population of our area with ministries to the Hispanic, Chinese, and French-African communities, a growing presence among college students and young professionals in our areas, and reaching families from within our community. We desire to see the gospel permeate every area of our community. We believe this happens as we raise up and send out God’s people week in and week out to be the light of the gospel. Raleigh needs bold people living and speaking out in faith, and we believe that starts here in the church. The Raleigh Residency has been progressively grown since it began a few years ago. We have gone from one resident to currently having four residents. Our vision for Generation LINK residents is to establish them as disciplemakers for life while giving them real ministry experience and oversight within the local church. As residents serve in these areas, they have the opportunity to serve alongside and be poured into by the pastors and staff of Open Door Church. Currently Generation LINK residents are exercising leadership in student ministry and college ministry. We are seeking to expand opportunities to residents who would like to serve in areas such as children’s ministry, media, graphic/web design, worship ministry, and administration. In addition to serving the local church and reaching the community, Raleigh residents are able to receive theological train both in the local church through Equip Center at Open Door as well as on campus of Southeastern Baptist Theological Seminary. While not every resident is in seminary, we take seriously equipping all residents to know God’s Word and to know how to communicate within our culture. Whether you desire to serve as a pastor in a church, plant a church overseas or in an underserved area, become a faithful member who works in the community, or exploring interests in future ministry, we would love for you check out the Raleigh residency at Open Door Church. Sean is originally from the Washington DC area but now calls Raleigh, NC home. 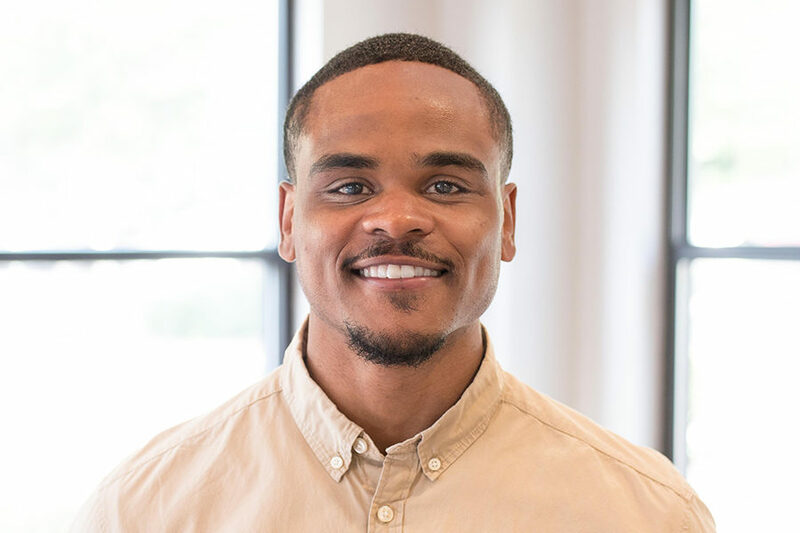 Sean received his Bachelor of Science in Business Management from Hampton University and obtained a Masters of Arts in Intercultural Studies as well as a Masters of Arts in Ministry Leadership from Southeastern Baptist Theological Seminary in Wake Forest, NC. Sean and his wife Adrienne have been married since 2017 and are both passionate about helping young people come to know Jesus and faithfully pursue Him over the course of a lifetime. Summer LINK Raleigh will serve alongside Open Door Church in the Raleigh/Wake Forest Community. Over the last four years almost 40 college-aged students have participated in Summer LINK and we are excited about what God is going to continue to do this upcoming summer. Summer LINK Raleigh participants will experience discipleship within community as well as alongside an older, godly believer, serve the church through various events like Power Camp (for children) and Creed Camp (for students), participate in a short-term mission trip either nationally or internationally, and do outreach within our community in partnership with local community ministries. We look forward to you joining us next summer!